The Second Edition of Beyond Stills: HDSLR Motion Capture for the Non-Filmmaker, an interactive book for the “non-filmmaker” looking to shoot motion with HDSLR and interchangeable lens – mirror-less cameras including those from Canon, Nikon, Sony Pentax, Panasonic, Samsung and Olympus is now available . The e-book covers: HDSLR operations and settings; stabilization; lighting; story telling; framing and composition; and editing among other topics. This resource is everything those using HDSLR/ILML cameras need to get started shooting motion.It includes highlighted key concepts called “Key Frames” and User exercises throughout. Beyond Stills is available for download here in ePub format which is compatible with a number of readers including Adobe Digital Editions and Calibre. The e-pub format availabe here is also fully compatible with Apple iPads and iPhones and can be installed via the book syncronization using iTunes. The e-Book will be available shortly for purchase and direct download for iPhone and iPads via iTunes/iBooks. Note: Access to interactive features and content may be determined or limited by display device/e-Reader. 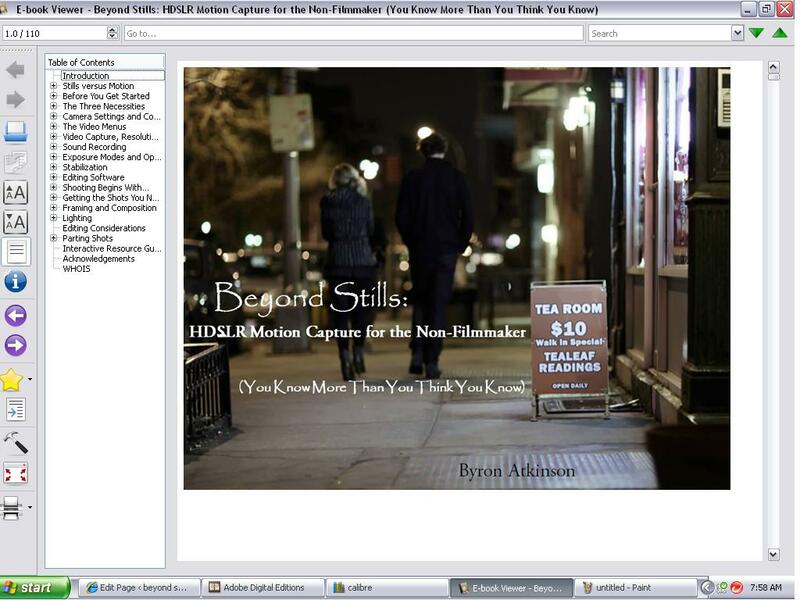 Want to purchase Beyond Stills now ? Upon completion of the purchase, a purchase confirmation and a link will be e-mailed to you to facilitate downloading the book. Visit the Calibre Web-site and download the free Calibre eBook Management Application click here. Visit Adobe.com to get information on and/or to download Adobe Digital Editions. Unfortunately I can’t find it in iBooks. According to my publisher, the 2nd edition of Beyond Stills is in the iBooks que. The first edition which is still showing as available in iBooks will be replaced by the second edition shortly. Sorry for the delay and confusion. In the meantime, the e-pub file which is available on this site is fully compatible with the iPhone and iPad and can be downloaded and displayed by importing the file to the books tab in iTunes and then syncing to your Apple product. 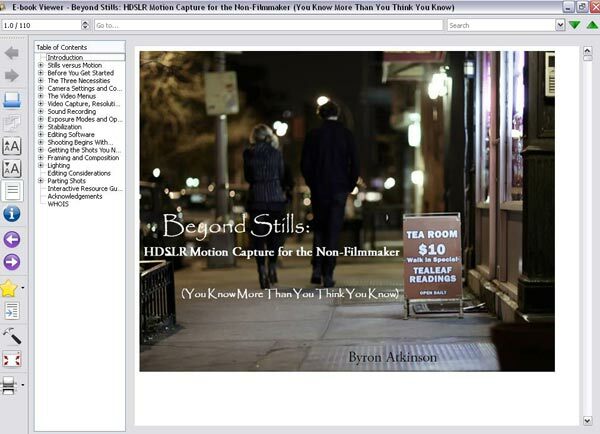 As of 12-13, the e-Book is available through iBooks–search term: beyond stills.